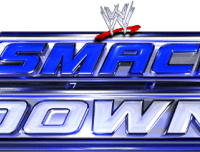 Nine nights before Night of Champions, the 733rd edition of WWE Friday Night SmackDown came to you from the Target Center in Minneapolis, MN. With questions and doubts abound about the major changes to take place in the WWE lately, most notably WWE COO Triple H’s alliance with WWE Champion Randy Orton, as well as the firing of Cody Rhodes and the repeated humiliates of Big Show and Daniel Bryan, Triple H would hold an “open forum” on SmackDown for Superstars to air their grievances about the direction of the company! Non-Title: Randy Orton (with Alberto Del Rio) def. Rob Van Dam (with Ricardo Rodriguez) by pin following the RKO. Ryback (with Dean Ambrose) def. Dolph Ziggler by pin following Shell Shocked. Non-Title: Kofi Kingston def. Curtis Axel by pin with the S.O.S. Naomi and Brie Bella fight to a No Contest after AJ Lee, Layla, Aksana, & Alicia Fox interfere. The Real Americans (with Zeb Colter) def. Jimmy & Jey Uso by Antonio Cesaro pinning Jey Uso following an uppercut. 3-on-1 Handicap Match: Big Show def. 3MB by pinning Heath Slater following the Knockout Punch. Daniel Bryan def. Seth Rollins (with Dean Ambrose & Roman Reigns) by pin following the running knee. 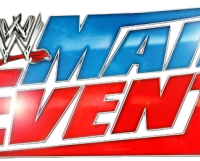 With much of the WWE roster assembled on the staging area and with The Shield standing guard, SmackDown kicks off with WWE COO Triple H, who stands in the ring with RAW General Manager Brad Maddox and SmackDown General Manager Vickie Guerrero. Triple H reminds everyone that, as of Monday, Cody Rhodes is no longer a WWE Superstar, saying Rhodes was fired because of “just cause”, saying that Rhodes was “disrespectful” towards the position of COO. Triple H continues, saying that, as the COO, he is the WWE and Rhodes was disrespectful towards every fan and every Superstar and Diva. Triple H then says that he gave Cody Rhodes the opportunity to succeed on RAW, but Rhodes failed, saying that, essentially, “Cody Rhodes fired Cody Rhodes”. Triple H claims that his friendship with Cody Rhodes and the Rhodes family made it especially tough for him to fire Cody, but it was what was “best for business”. Triple H then addresses the fans on the stage, saying that he does not want anyone to fear for their jobs, so he is holding an “open forum” that will allow them to say whatever they want to say without the fear of repercussions. Triple H asks for the first volunteer to step forward, but each Superstar appears too afraid to step up to the microphone. After some insistence from the COO, the first volunteer steps up as “Mr. Money-in-the-Bank” Damien Sandow, who gladly states that he fully supports the termination of Cody Rhodes, saying that Rhodes represents everything that is “bad for business” and thanking their “fearless leader”, Triple H. Triple H thanks Sandow for his input, but says that he is not out there to listen to them kiss up to him, he wants to hear honest opinions. After some more uncertainty, Kofi Kingston steps up to the microphone, saying that, ever since Triple H fired Cody Rhodes on RAW, the entire locker room has been “living in fear” and he does not see how that is “best for business”. Kofi continues, saying that Rhodes was out there fighting for his life and Triple H took Rhodes’ livelihood away. Triple H begins to respond to Kofi, but 3MB’s Heath Slater interrupts, stepping up the microphone and saying that he is “uncomfortable” with Big Show just standing around and doing nothing about what has been going on. Slater then commends Triple H on doing a “great job” and Triple H thanks Slater for “emptying” what was probably the “entire contents” of Slater’s mind. Things then get a bit more interesting when Rob Van Dam steps up to the microphone, saying that Triple H was the one who brought him back to the WWE a couple of months ago and he was under the impression that things were “better” now, saying that the vibe that they are all feeling is “not cool, dude”. The COO says that he has been waiting since the year 2000 or so for Rob Van Dam to call him “dude”, saying that RVD is a “true Superstar”. Ryback then steps up, saying that he is tired of people calling him a “bully” and Triple H says that it wasn’t Ryback’s fault that Dolph Ziggler was injured before their match on RAW. The COO then rectifies the situation by announcing that Dolph Ziggler will go one-on-one with Ryback. Triple H then notices that Daniel Bryan is not among the Superstars on the stage, saying that Bryan’s “ego” has gotten so big that Bryan cannot even be bothered to stand out there with the rest of the roster. The COO then announces that Daniel Bryan will get to select any member of The Shield to go one-on-one with tonight. Triple H continues, saying that he is happy for the people that spoke up and he would like to “reward” them, putting Kofi in a non-title match against Intercontinental Champion Curtis Axel. Triple H then announces that Rob Van Dam is going to have a match next against the “face of the WWE”, the WWE Champion Randy Orton. With World Heavyweight Champion Alberto Del Rio a guest on commentary, the opening match of the night would see WWE Champion Randy Orton face the #1 Contender for the World Heavyweight Title, Rob Van Dam, with Ricardo Rodriguez in his corner, in a non-title match. During the match, Alberto Del Rio would get out of his seat at ringside to attack Ricardo Rodriguez from behind, sending Rodriguez into the steel ring post. Seeing this, Rob Van Dam launches himself to the outside, taking Del Rio out. The distraction would allow Randy Orton to take advantage as the WWE Champion hits the suspended DDT on the floor before rolling RVD back into the ring, hitting the RKO to ensure victory for the WWE Champion. After the match, Alberto Del Rio picks the bones of a helpless Rob Van Dam as the World Heavyweight Champion puts the boots to RVD before locking in the cross armbreaker on “The Whole Damn Show” before the referee gets Del Rio to release the hold. Backstage, Divas Champion AJ Lee confronts Layla, Aksana, & Alicia Fox, telling them that the “E! Network darlings” like Natalya, The Bella Twins, & The Funkadactyls are taking their TV time and they are way more talented than the Total Divas stars. AJ then discusses a plan with the three of them regarding her Night of Champions opponents. In a rematch from RAW, “The Show-Off” Dolph Ziggler would go one-on-one with Ryback on SmackDown. During the match, SmackDown commentator Michael Cole gets scared out of his seat with the unexpected arrival of the United States Champion, Dean Ambrose, who puts on a headset and tells Cole to sit back down as the match continues. Later on in the match, Dolph Ziggler would spot Dean Ambrose behind the announcer’s table and would try to get his hands on Ambrose, chasing the United States Champion around the table and right into a huge clothesline from Ryback! This would spell the end for “The Show-Off” as Ryback rolls Dolph into the ring, hitting Shell Shocked and picking up the win. Nine nights before he and Paul Heyman face CM Punk in a 2-on-1 Handicap Elimination Match at Night of Champions, the Intercontinental Champion was in action on SmackDown as Curtis Axel, with Paul Heyman in his corner, would go one-on-one with Kofi Kingston in a non-title bout. In the end, it was Kofi Kingston coming out of nowhere with the S.O.S., pinning Curtis Axel for the win and Heyman responds by dropping the Intercontinental Title belt, realizing that what just happened could happen at Night of Champions, which would leave Heyman alone to face CM Punk. Before they both, along with Natalya, challenge AJ Lee for the Divas Title in a Fatal 4-Way Match at Night of Champions, Naomi would go one-on-one with Brie Bella. During the match, AJ Lee would rush out with Layla, Aksana, & Alicia Fox in tow as the Divas contingent assault The Bella Twins and The Funkadactyls, much to the delight of the Divas Champion as her ‘troops’ stand over the destroyed Divas. In tag team action, Jimmy & Jey Uso would face The Real Americans, with Zeb Colter in their corner. In the end, it was Jack Swagger shoving Jey Uso off of the top rope, right into an uppercut from Antonio Cesaro, who pins Jey for the win. At the behest of Triple H, Big Show would get the opportunity to blow off some steam as “The World’s Largest Athlete” faces all three members of 3MB, Heath Slater, Jinder Mahal, & Drew McIntyre, in a 3-on-1 Handicap Match. Big Show would waste little time in destroying 3MB, tossing Drew McIntyre over the ringside barricade before tossing Jinder Mahal against the ring ropes and repeatedly chopping Mahal across the chest. Big Show then runs through Drew McIntyre with the Spear before smashing McIntyre’s head between Show’s knee and the barricade! Back in the ring, Big Show hits a double chokeslam on Jinder Mahal & Drew McIntyre before turning his attention to Heath Slater as Big Show levels the 3MB later with the Knockout Punch, pinning Slater for the dominant victory. After the match, Big Show would be halted on the stage with the arrival of The Shield, but Triple H comes out and ushers “The World’s Largest Athlete” to the back. Then it was time for the main event as the #1 Contender for the WWE Title, Daniel Bryan, would go one-on-one with The Shield’s Seth Rollins, with Dean Ambrose & Roman Reigns in his corner. During the match, Seth Rollins would distract the referee, allowing Roman Reigns to hit the flying clothesline on Daniel Bryan on the outside. Despite this, Daniel Bryan would manage to lock in the Yes Lock on Seth Rollins, but would release the hold to knock Ambrose & Reigns off of the ring apron. Daniel Bryan would then quickly take out Ambrose & Reigns on the outside before returning to the ring and hitting his running knee on Seth Rollins, pinning Rollins to pick up the win and escape the ring before he could get cornered by The Shield! Yet again, however, Daniel Bryan would not be allowed to enjoy his moment as Randy Orton comes from behind, blasting Daniel Bryan in the back of the head with the WWE Title belt before standing over Bryan, holding the belt high.